Characterized as a theft crime, receiving stolen property is charged under California Penal Code 496(a) making it a crime to receive property knowing it was stolen or obtained by extortion. Additionally, the statute also makes it unlawful to aid another in concealing or withholding the property knowing it was unlawfully obtained. This crime is normally charged in conjunction with other theft offenses such as robbery, shoplifting, burglary, grand theft, and embezzlement. There is no requirement that a person actually take the property for their personal gain, instead the crime accomplished when someone knowingly exercises control over stolen property. 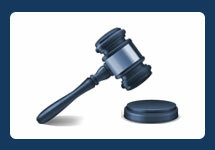 If the property is valued at $950 or below, then the crime is a misdemeanor. However, if the value exceeds $950, then the crime becomes a wobbler allowing the prosecutor to charge someone with either a felony or a misdemeanor. The property must have some intrinsic value measured on its fair market value and not the subjective value of the rightful property owner. The accused knew the property was obtained by theft or extortion. Intent: As a prerequisite for a conviction, the receiver must, in addition to knowing the property to be stolen, intend to deprive the owner of their property permanently or for a certain period of time. But if at the moment of receiving the property, the recipient intends to return it to the rightful owner, then there is no criminal intend and thus guilt is absolved. Knowledge: As an essential element of the offense, the government must prove a defendant harbored knowledge that the property was illegally obtained. Knowledge can be proven at any stage of possession – i.e., the moment of possession or learning of how the property was illegally obtained after its receipt and continuing to withhold the stolen property. However, someone can innocently purchase stolen property without knowledge or borrow an item without knowing how it was obtained. In such cases, receipts, contracts, or text/email exchanges may be necessary to negate the government’s case in an effort to prove a person never had knowledge. Possession: Some can possess an item without ever touching it. There are two types of possession: actual and constructive. As long as someone had the right to exercise control over the property, then that is sufficient to constitute constructive possession, an imprecise and arguable area of the law. In instances where someone was merely present in an area where stolen property is located, it is not enough to justify a conviction. Lack of possession can be a viable defense in the event there are multiple suspects that could be linked to the property and establishing possession to a single suspect would be bare conjecture and speculation. Unlawful Search: Anytime law enforcement conducts a search and locates evidence against someone, the legality of the search is in question. This is especially true when officers search someone’s home without a warrant. If the evidence against a defendant was illegally obtained in violation of their Fourth Amendment right, the property will be ordered suppressed and the government will be unable to proceed with their case. A misdemeanor conviction of receiving stolen property is punishable by imprisonment in the county jail for not more than one year. 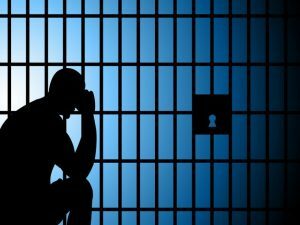 A felony conviction carries a punishable of 16 months, 2, or 3 years in county jail. 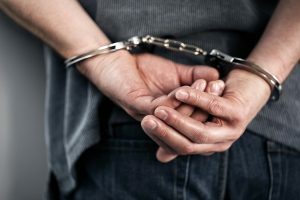 Upon conviction, the rightful owner may seek restitution for any economic loses received as a result of the defendant’s possession of the property. 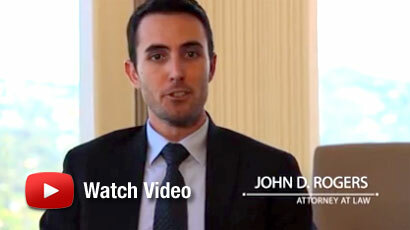 If you have been arrested or accused of receiving stolen property under PC 496(a), contact an experienced Orange County Criminal Defense Attorney at the Law Offices of John D. Rogers for a free confidential consultation concerning your rights and defenses. See People v. Osborne (1978) 77 C.A.3d 472, 475, 143 C.R. 582 [establishing lack of guilty intent disproves crime]; People v. Wielograf, supra, 101 C.A.3d 492 [defendant’s asserted intent to restore property was inconsistent with storing stolen antique car in garage for prolonged period]; People v. Dishman (1982) 128 C.A.3d 717, 721, 180 C.R. 467 [critical factor in innocent intent defense is intention of receiver at moment of receiving stolen property]; CALJIC, No. 14.66[Receiving Stolen Property With Innocent Intent]. Forging or altering a prescription is a wobbler offense which mean the prosecutor holds discretion on whether to charge someone with a felony or misdemeanor….